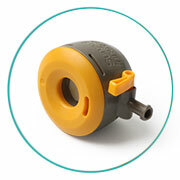 Over the last two decades we have designed and manufactured a range of pioneering devices such as YelloPort Elite® & YelloPort +plus® laparoscopic port access systems, Logi®Range resposable laparoscopic instrument system, FastClamp laparoscopic clamping system and Quick®Range single use laparoscopic instrumentation. It is testament to our design and manufacturing skills that our products are in demand by highly renowned medical companies. 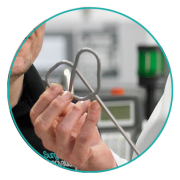 We can offer effective solutions by providing expertise in design and development combined with manufacturing capability to produce a high quality final device. 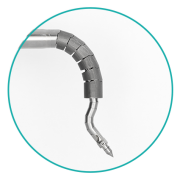 The solutions are based on core technology developed over the years in our surgical devices business. We believe that there is further scope to develop and expand our industrial techology into other business sectors. 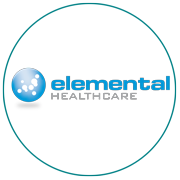 Elemental Healthcare is a leading distributor providing innovative solutions in Minimally Invasive Surgery. Elemental work with market leading companies to bring together a unique and exciting portfolio. The emphasis of Elemental Healthcare is service and it is our mission to provide for our customers a first class experience when dealing with our sales department or with customer service. We employ a highly trained direct sales team which provides national UK coverage supported by a dedicated Customer Service department based from our Head Office in Hungerford, Berkshire. The rapidly changing face of Healthcare provision in the UK necessitates an approach by the providers of new products and services that is flexible and provides cost effectiveness. Elemental recognise the challenges that the NHS and Private healthcare face and are in the forefront of new developments leading to better quality treatment for patients that are cost effective for the Healthcare provider. Nigel qualified as a Chartered Accountant in 1983 spending eight years with PwC before moving into industry. He managed the flotation of Stadium Group plc (“Stadium”) as Group Finance Director, before progressing to Group Chief Executive Officer in 2001. 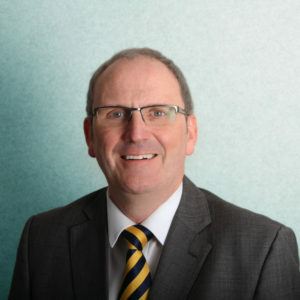 He joined 600 Group plc as Group Chief Executive Officer in 2012 and led the turnaround of the AIM-quoted global machine tool business (Colchester-Harrison), increasing strategic focus on the growth of its laser marking business (Electrox) until April 2015. Nigel has been Non-Executive Deputy Chairman of Transense Technologies plc, the AIM-quoted provider of sensor systems, since July 2015. Nigel was appointed Executive Chairman of Surgical Innovations Group plc in October 2015.